Reminder ! Scout Hut and Youth Centre opening ceremony Saturday May 6th at 2.00pm with MP Fiona Bruce. 1st Goostrey Scouts hope that many villagers will go along to see the fantastic new building that will benefit so many young people over the years to come. All are welcome. The chairman and members of Goostrey Parish Council, who gifted the site to the Scouts and provided a donation of £50,000, and representatives from the landfill charity WREN (which also awarded a generous grant of £50,000) will also attend the opening ceremony. Scout Leader David Giles “Hopefully the whole community will celebrate the opening of the new building and meet the members of the team who have worked unstintingly over the last three years to realise this project. 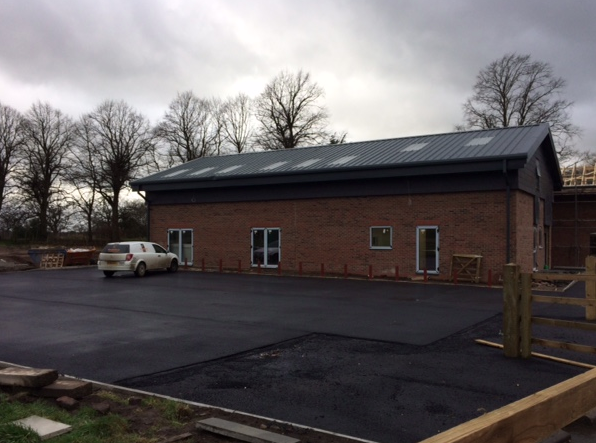 “The new facility will be used by all the uniformed groups in our village: Scouts, Cubs, Beavers, Guides, Brownies, Rainbows and senior sections, as well as by the Pre-school and other clubs. Fundraising continues with the 2017 Big Bike Ride on May 13th and the joint Scout/PTA Summer Ball on 15th July. This entry was posted in Local event, Scout/Youth Centre, Village and tagged Goostrey, Goostrey Scouts, Scout Hut. Bookmark the permalink.